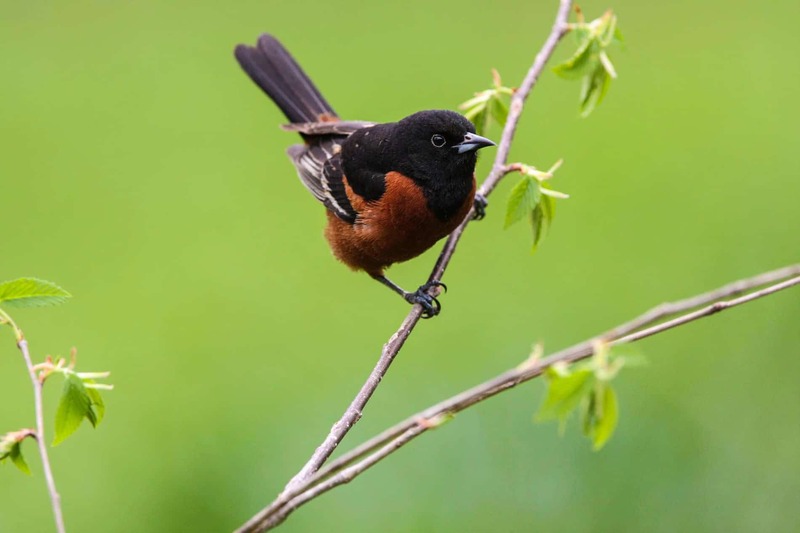 If birding is your passion, we have more than 280 reasons to make Briggs Farm your headquarters for bird watching in the bluffs and valleys of southeastern Minnesota’s Driftless Area. 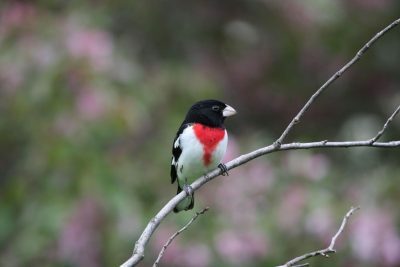 That’s the number of bird species that have been identified in the diverse habitats of the area, including raptors, waterfowl, and rare woodland songbirds. The abundance and diversity of species in the area aren’t surprising given that Briggs Farm is located along the Mississippi River Flyway. 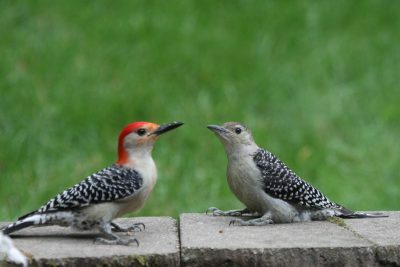 This is a major migration route for nearly half of North America’s bird species and 40 percent of its waterfowl. 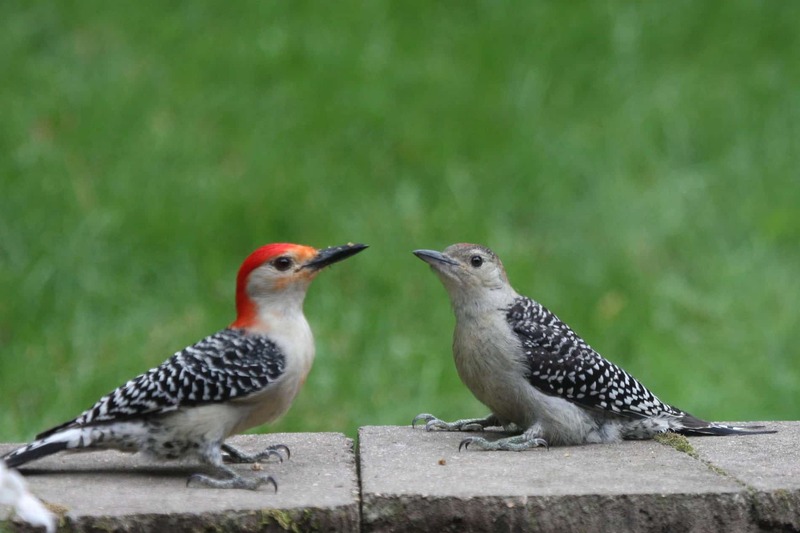 Three Audubon-designated Important Bird Areas (IBAs) are located within a forty-minute drive of the farm: the Upper Mississippi National Wildlife Refuge IBA to the east, the Whitewater Valleys IBA to the north, and the Blufflands Root River IBA to the south. 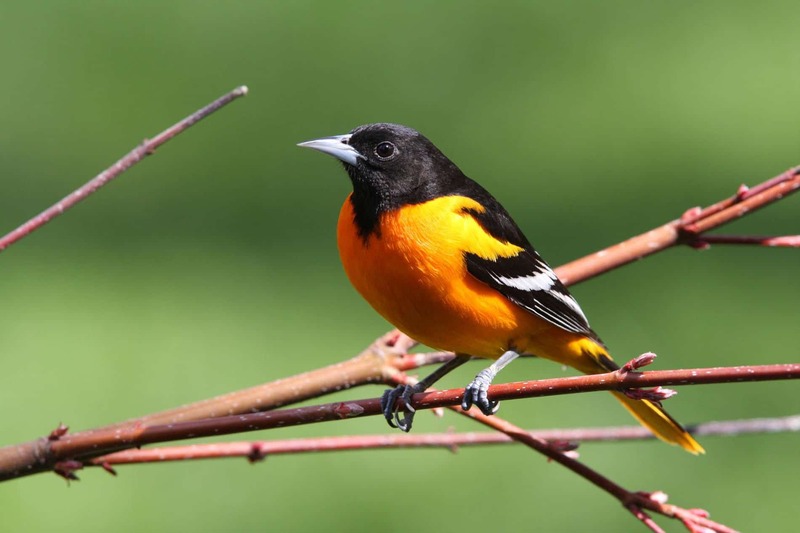 Many species of birds have been identified in the diverse habitats of the area, including 25 species of waterfowl, 22 species of shorebirds, 31 species of warblers and 17 species of sparrows. The deciduous forests covering the bluffs are home to the red-shouldered hawk, barred owl, yellow-bellied sapsucker, tufted titmouse, wood thrush, blue-winged warbler, prothonotary warbler, and scarlet tanager, while sparrows, bobolinks, and eastern meadowlarks make the open grasslands their home. 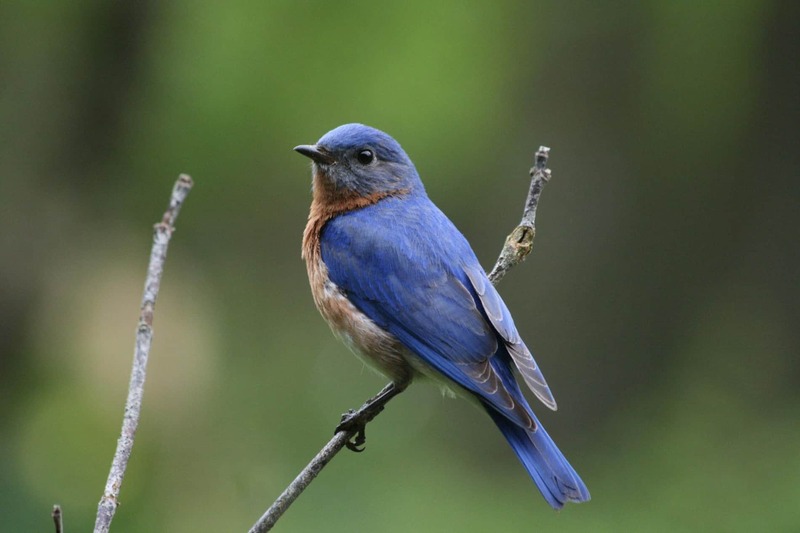 Other species found in our area’s valleys include the rare Louisiana waterthrush, cerulean warbler, and Acadian flycatcher. Tundra swans and bald eagles are popular birding draws along the Mississippi River. Wabasha, a short drive from Winona, is home to the National Eagle Center, and Visit Winona runs a tundra swan bus tour in November. 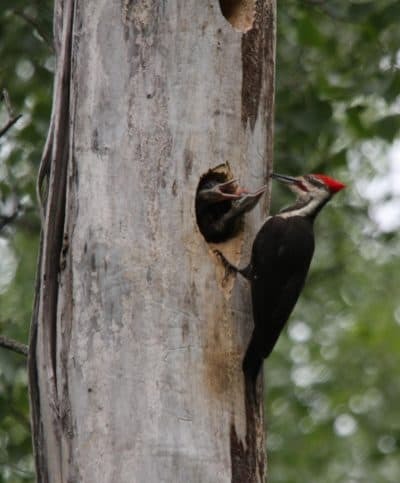 With six state parks within an hour’s drive of the farm, the Trempealeau National Wildlife Refuge, and numerous natural areas operated by the city of Winona, your biggest challenge will be deciding where to begin your birding adventure. 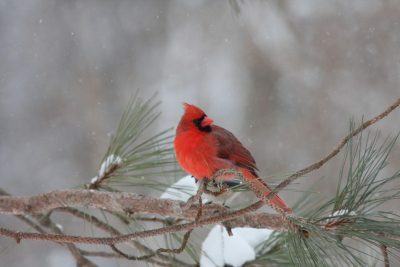 Then again, you may just want to begin with the birds at the feeder right outside the farmhouse’s kitchen window. Find more information about area birding opportunities from Visit Winona’s Great Birding in the Mississippi Flyway brochure (opens a PDF). All photos by Howard Munson, and used with permission.